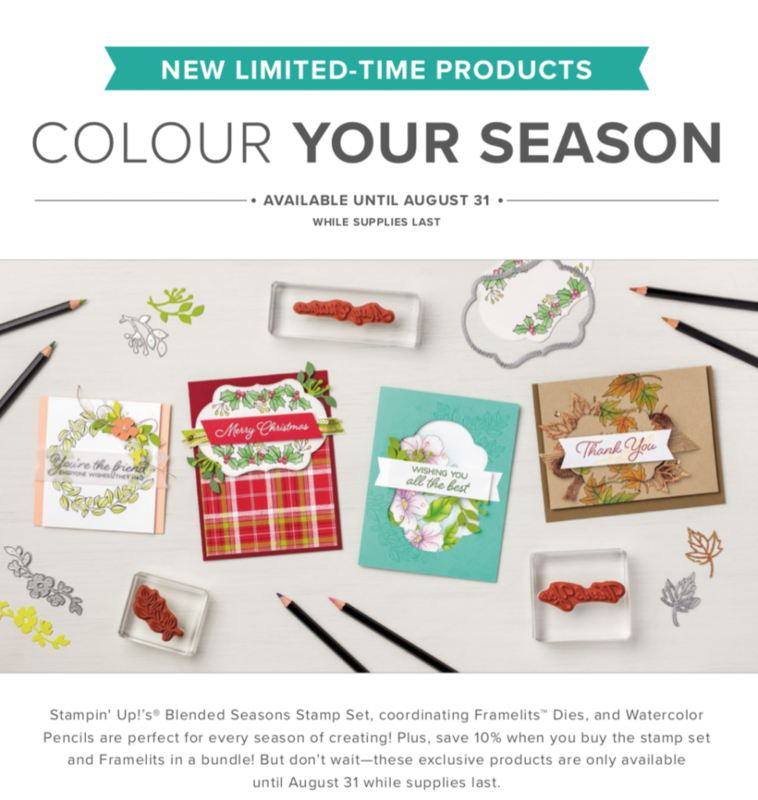 Colour Your Season is a limited-time only promotion now available from Stampin’ Up!. The products, as shown below from Stampin’ Up!, are only available for the month of August or while supplies last. Seriously, how beautiful are these Watercolor pencils? Please call or email me today to place your order for any, or even all, of the product above to begin your Christmas creativity! 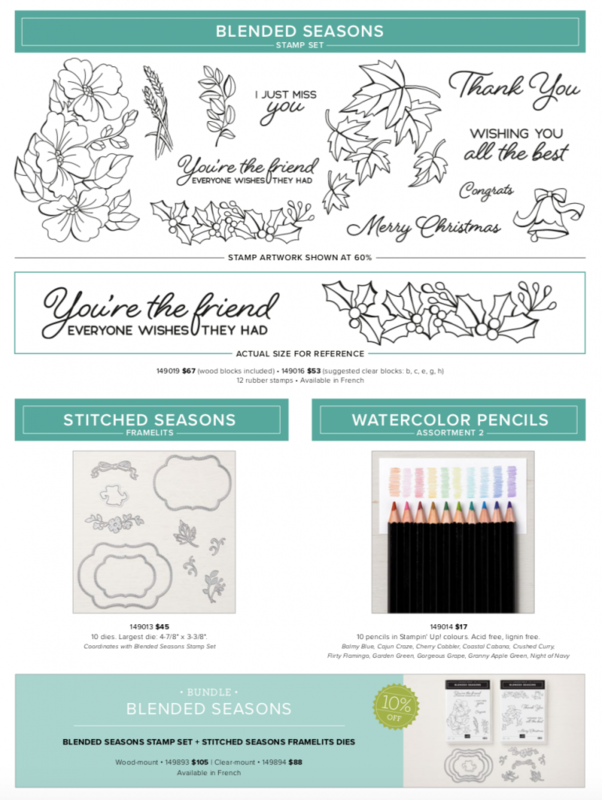 Blended Seasons Stamp Set – an exclusive 10-piece wood- or clear-mount stamp set with images for every season! Stitched Season Framelits Dies – a coordinating stitched die that includes stitching on both the positive and negative images! Watercolor Pencils in 10 new colors! Note: These Watercolor Pencils may be available in a future publication. But remember, this is a LIMITED TIME ONLY offer for the month of August or while supplies last so DON’T dilly-dally!